Introducing the Embassy of the Upper Peninsula. On September 6, 2016 we will break ground to build an authentic log cabin in Downtown Lansing to serve as the diplomatic headquarters of the Upper Peninsula. Today, we are announcing the creation and construction of the Embassy of the Upper Peninsula. Construction will begin September 6, 2016 in Downtown Lansing. We are building an authentic log cabin where we will execute our mission to protect, and promote Upper Peninsula interests through diplomatic relations. Under the leadership of our Ambassadors we will work diligently to ensure that the Upper Peninsula is fairly represented in legislation and other government initiatives. The Embassy will act as a refuge to Upper Peninsula legislatures, create Upper Peninsula programming, and be a shining symbol to the people, culture, and history of the Upper Peninsula. Above all, we will be sure that the words “pasty” and “sauna” never go mispronounced and that the Upper Peninsula is included on every single State of Michigan map. 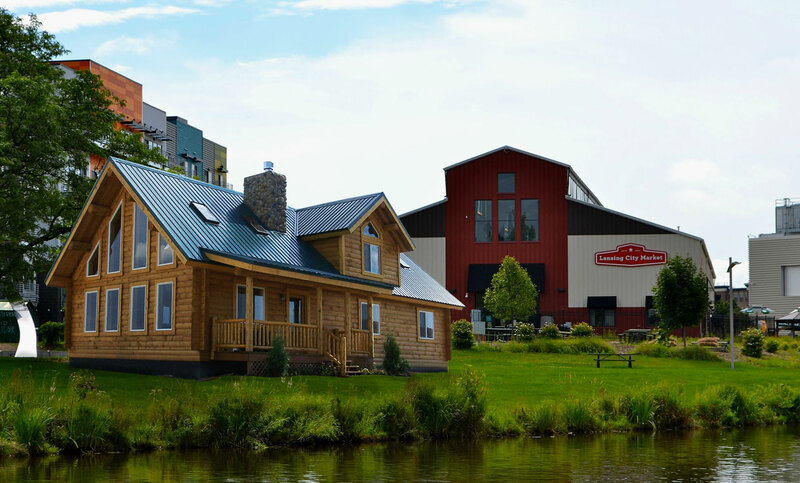 The cabin will sit on the Lansing Rivertail where visitors can enjoy a tranquil experience, watching waterfowl and take a quick kayak row. We are looking for people who exude the friendliness and adventuress spirit of the Upper Peninsula. Our diplomats show an unwavering love and appreciation for the unique qualities the Upper Peninsula has to offer. Is that you? Apply to be an Upper Peninsula Ambassador today. The Embassy of the Upper Peninsula in Lansing is the headquarters of our diplomatic mission to the State of Michigan. The Embassy team works to provide, protect, and promote Upper Peninsula interests through diplomatic relations with the government, commercial contacts with the business community, and public diplomacy, through the State of Michigan government. Under the leadership of our Ambassadors we will work diligently to make sure that the true Up North is represented accurately and fairly in state legislation. Our outreach programs include education of the Upper Peninsula, tourism, economic growth, and the protection of our vast natural resources. Above all, we will be sure that “pasty” and “sauna” never go mispronounced and that the Upper Peninsula is included on every State of Michigan map. On September 6, 2016 we will break ground to build a world-class authentic log cabin in Downtown Lansing. We are working with log home builders in the Upper Peninsula to finalize blueprints and source materials from the U.P. Along the way there are many local contractors we will be working with. The Embassy of the Upper Peninsula will be the premier diplomatic headquarters in the nation. 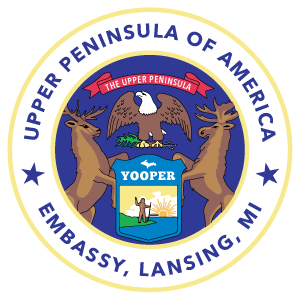 The Embassy of the Upper Peninsula is made possible by U.P. Supply Co.